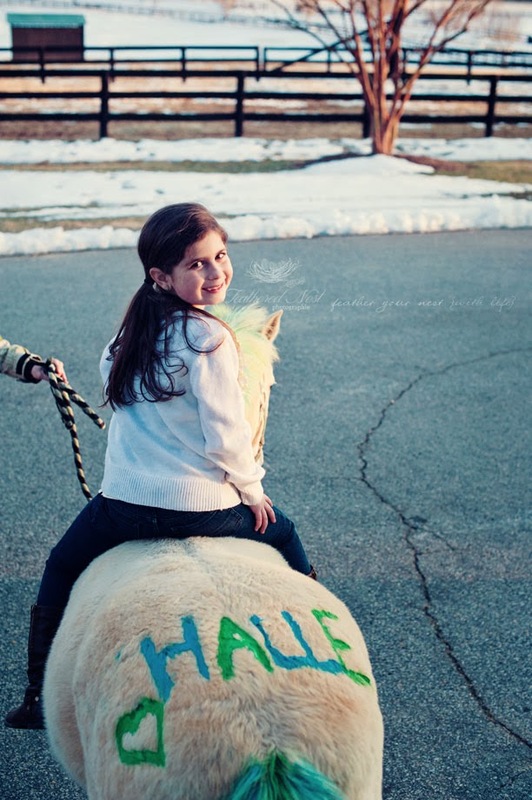 Halle turned 8 on the 6th of this month (gah!) 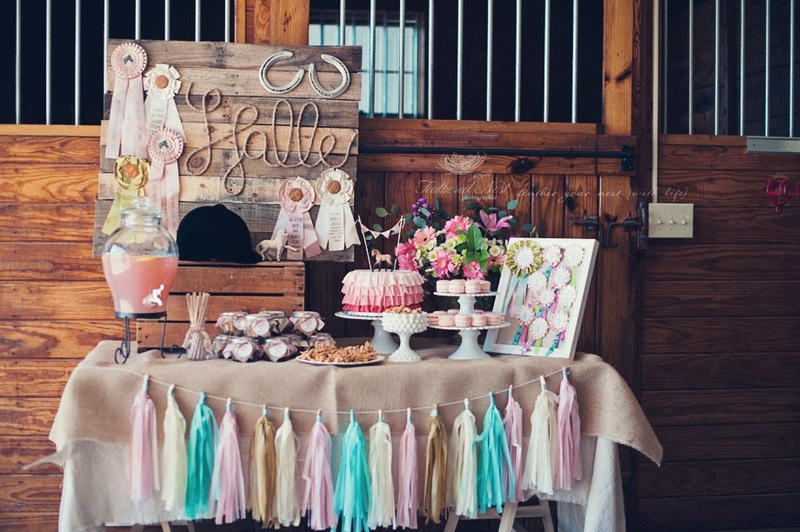 and we celebrated with an equestrian themed party at the gorgeous stables where she rides. We got a foot of snow dumped on us a few days before the event so we pushed it back an extra day to make sure it wouldn't be a mess. Luckily the sun came out and the temperature held in the upper 40s so it was not too cold...yay!! It turned out to be a beautiful day and the party went off without a hitch (no pun extended!). 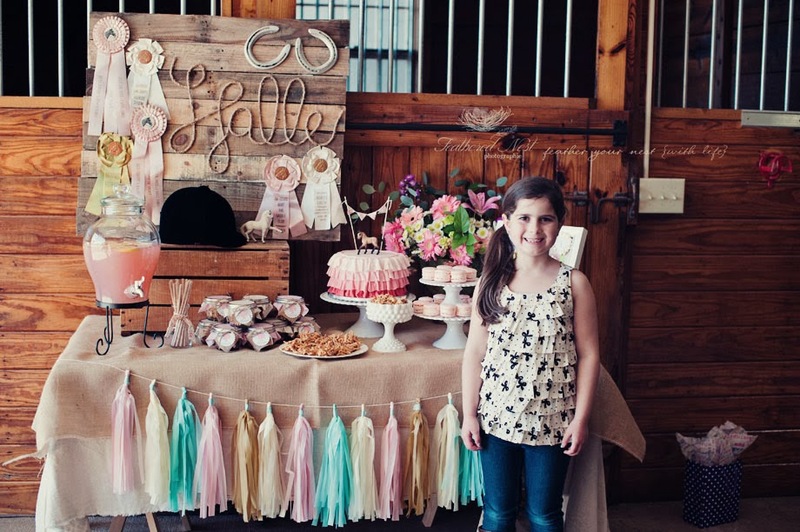 Halle loved spending her special day with friends and family! Here are some details of the event. 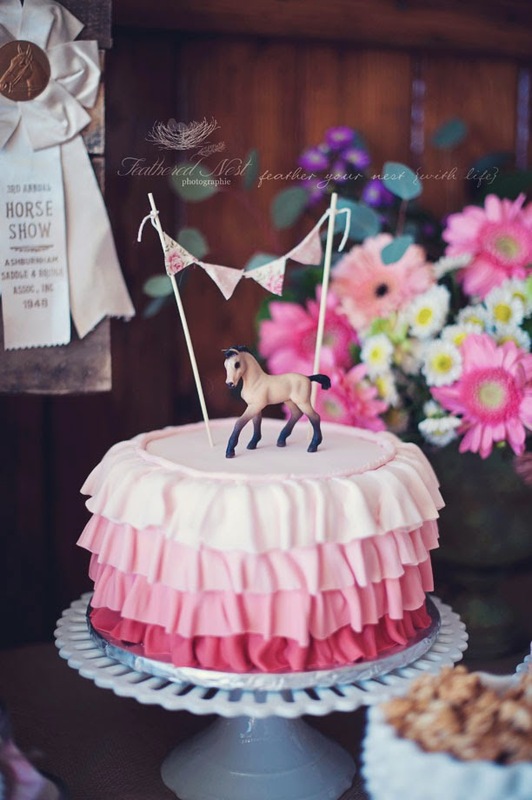 The beautiful ribbon cake was created, yet again, by my talented friend Rachel! She always knocks it out of the park! 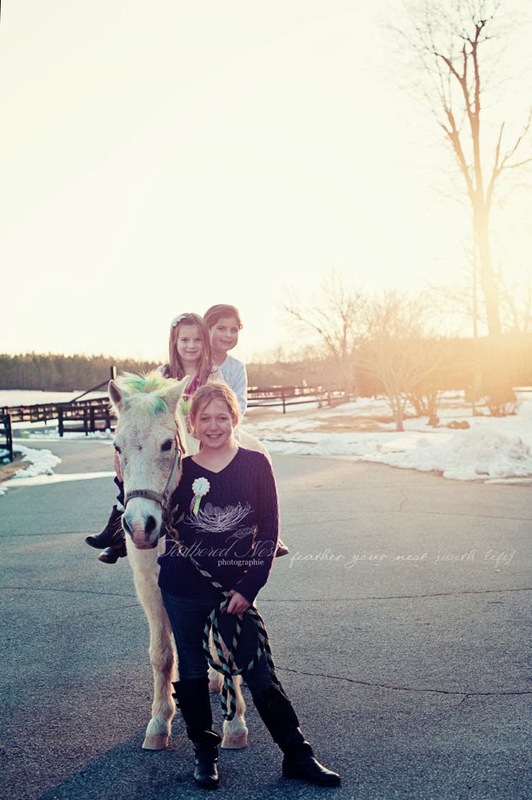 I added the little banner and pony to tie it into the theme! 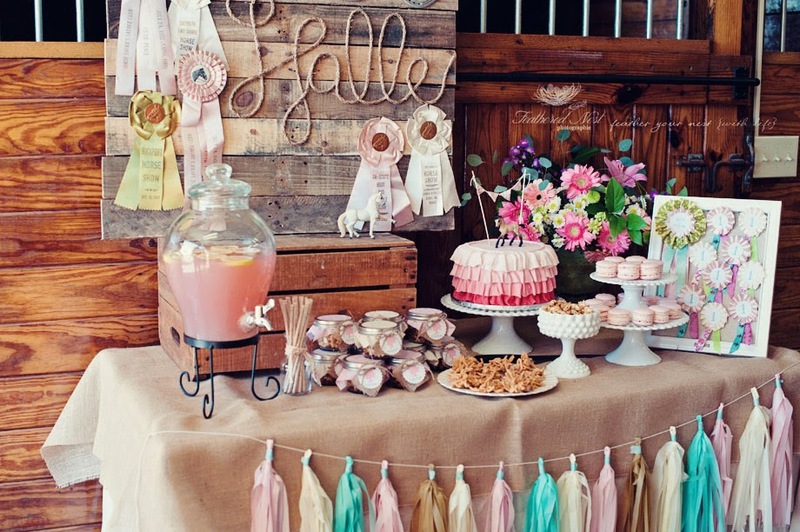 The lovely equestrian party table. 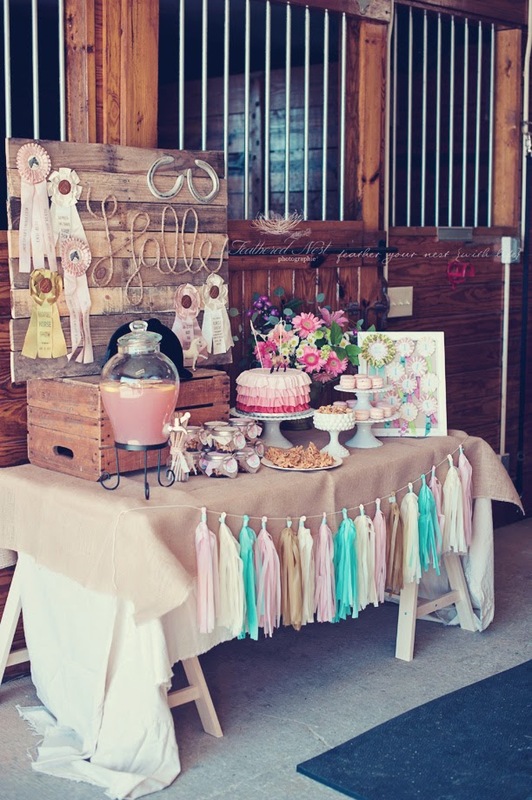 The riding stables made the perfect backdrop for the rustic yet elegant vibe I was going for! I made the wooden sign out of an old pallet I got for free from my local grocery store. With the help of my hubby we simply disassembled it, cut the pieces to size and screwed them back together with supports in the back. 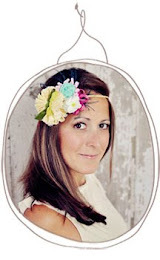 I found the vintage ribbons on etsy and ebay. 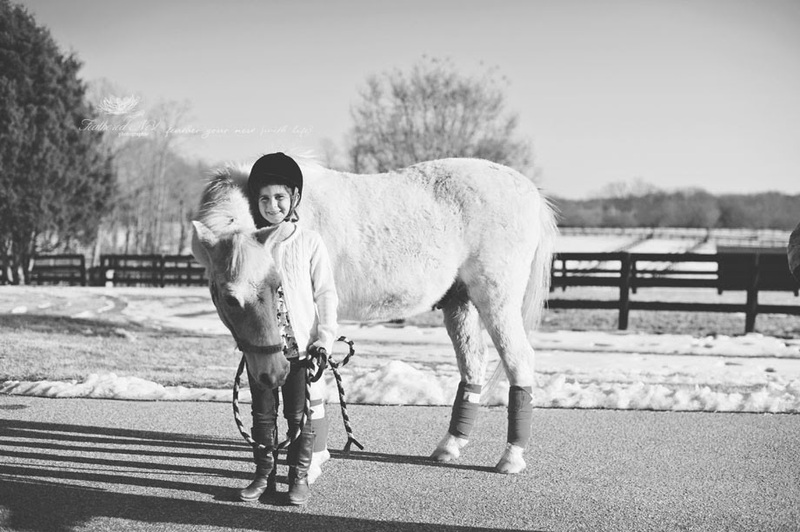 Halle and her buddy Smokey! He got a brand new "do" just in time to celebrate!! Another view of the party table. 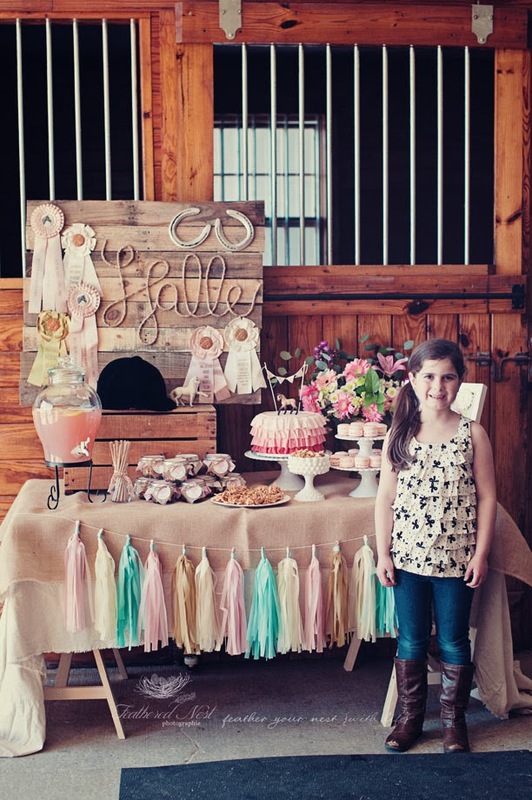 The tassel banner was a diy project. They are made from plastic tablecloths. 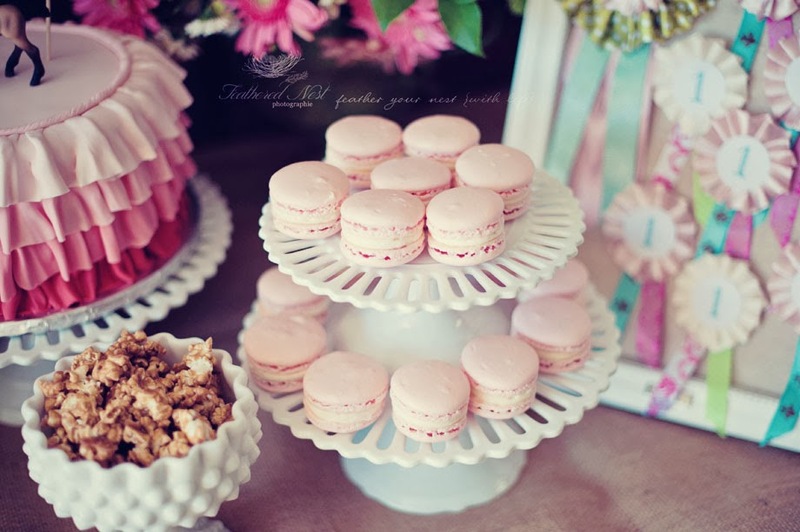 These macaroons were delicious, made courtesy of my sister over at Southern Rise Baking Co!! She recently started her baking business and makes all kinds of yummy baked goodies. You'll be seeing more from her in my future parties for sure! Be sure to visit her FB page and order something delicious! 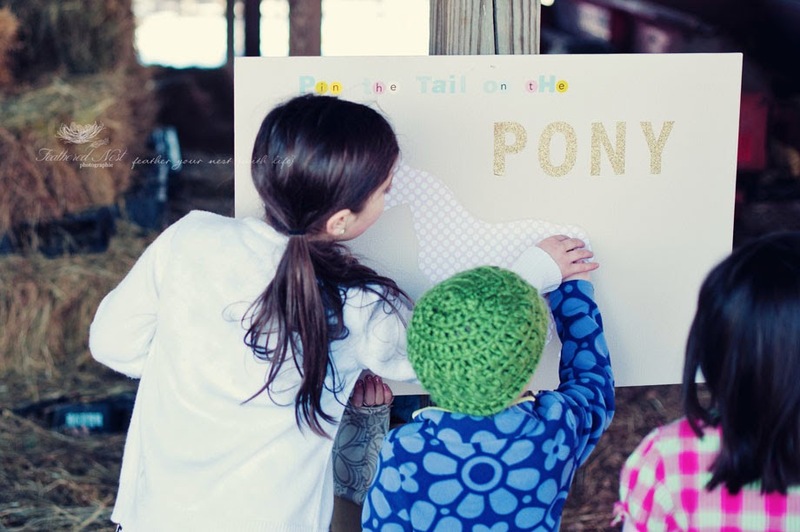 We had several activities for the party guests to participate in between their pony rides. 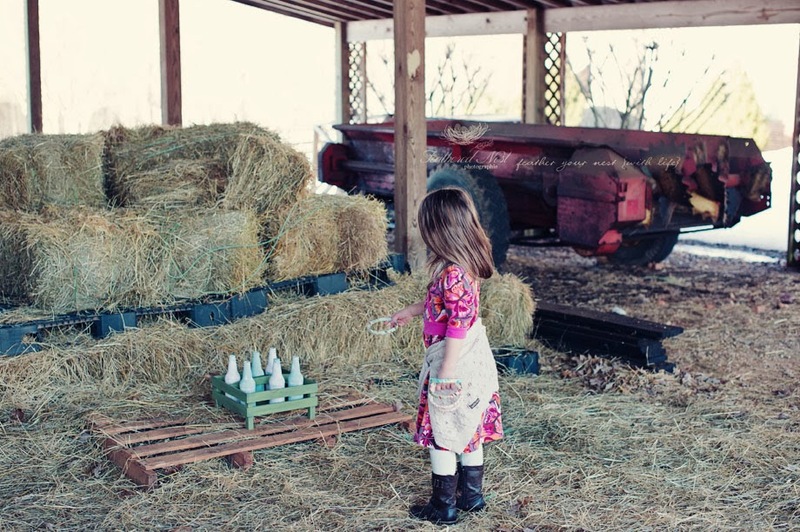 I made this ring toss out of old-timey soda bottles and some paint I had on hand. 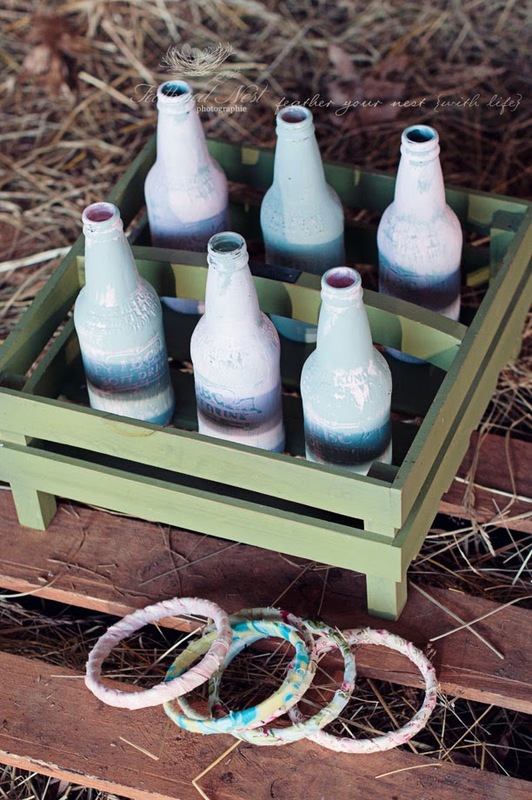 Simply paint a base color on each bottle and allow to dry. 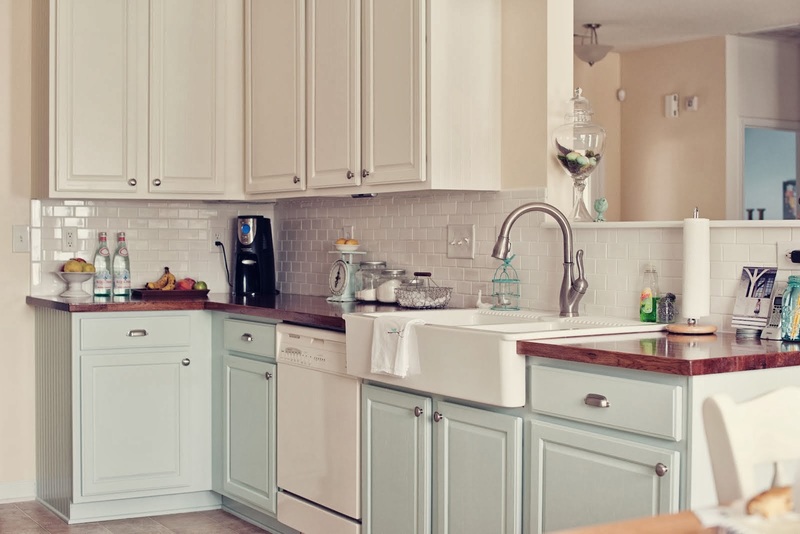 Then lightly brush a 2nd color over the top with small amounts of paint. This allows the color underneath to show through and the details of the bottle will be highlighted. No distressing needed with this method. 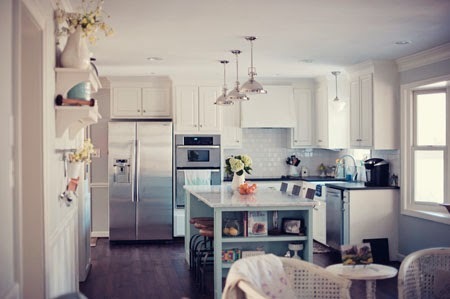 I used a combination of latex and chalk paint. Both worked perfectly! Three were pink on blue and three were blue on pink. Then I wrapped embroidery hoops with fabric to make the rings! 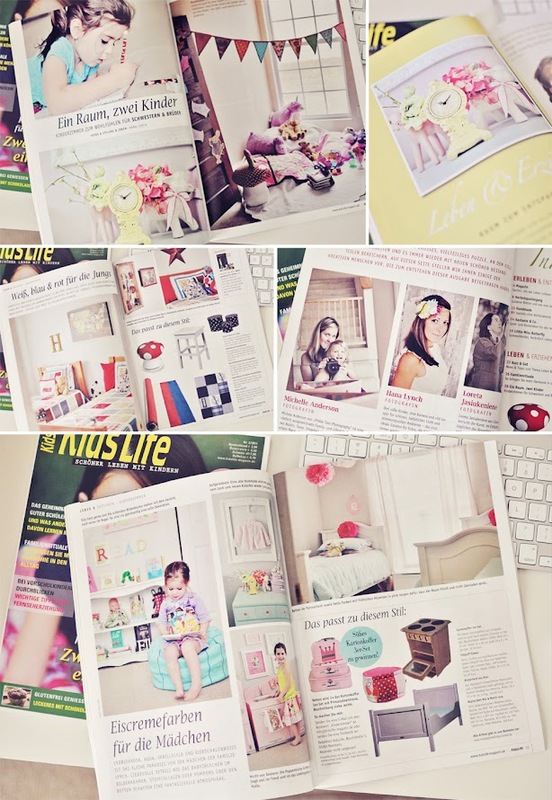 An easy-peasy project that was lots of fun! 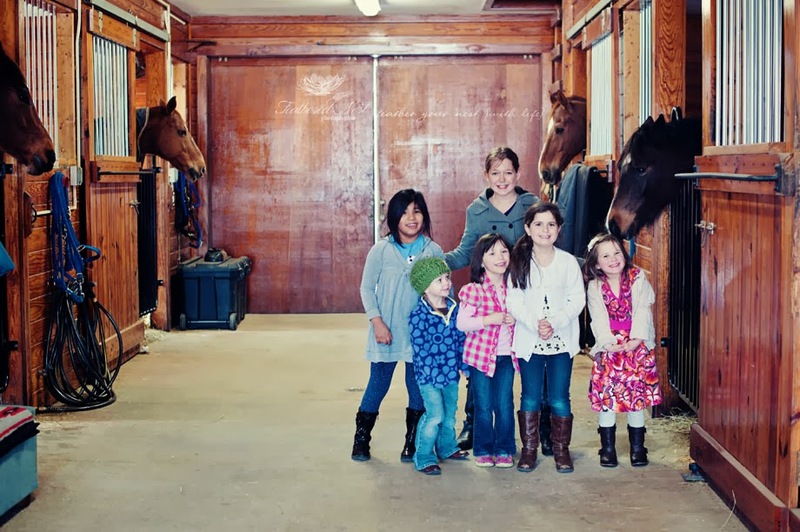 The girls loved hanging out with the horses and ponies in the stables. Ella is getting a little nibble from Donikan in this photo! 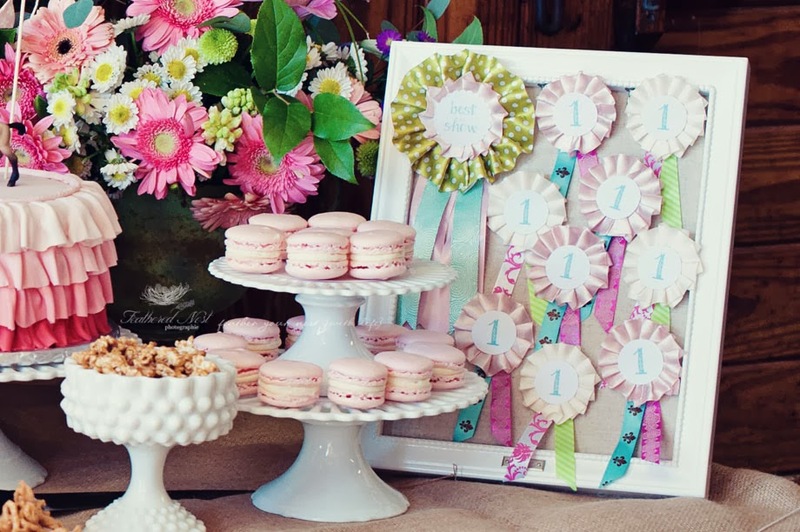 I made each party guest a rosette ribbon out of ribbon and cardstock that was presented to her at the end of the party. Everyone received 1st prize but the guest of honor was Best in Show, of course! 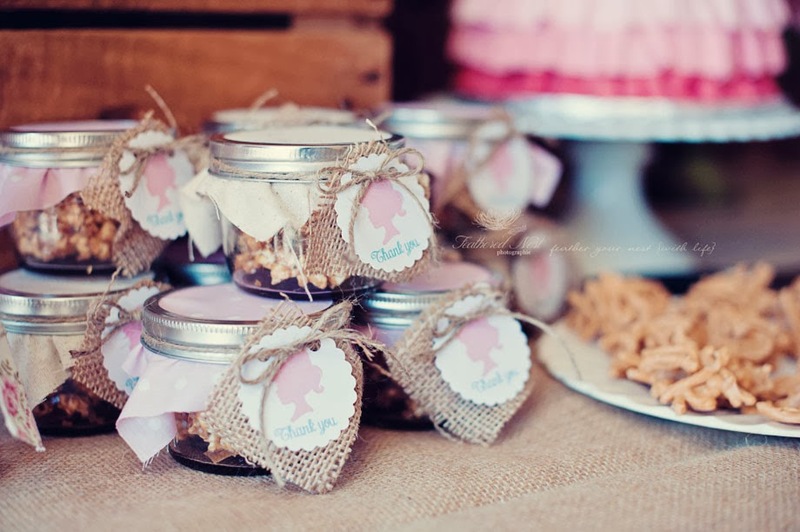 The parting gifts were small mason jars filled with homemade caramel popcorn. 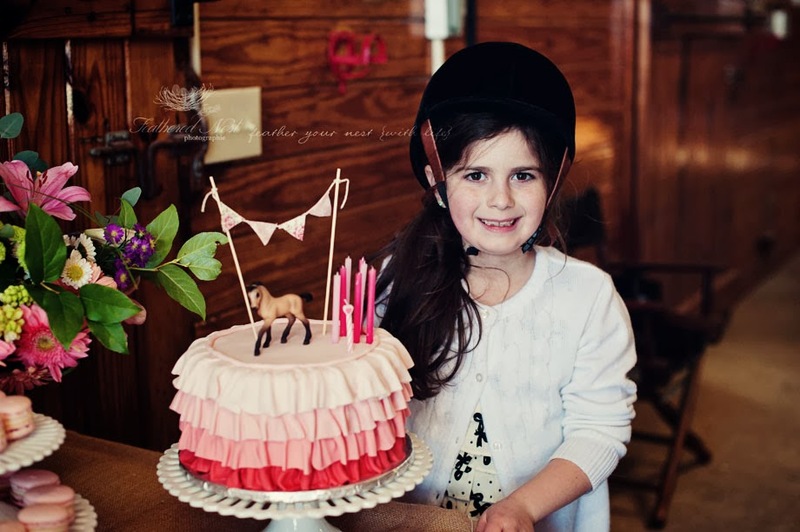 I finished the look with fabric covered lids and tied with twine with an equestrian silhouette tag on a bit of burlap. 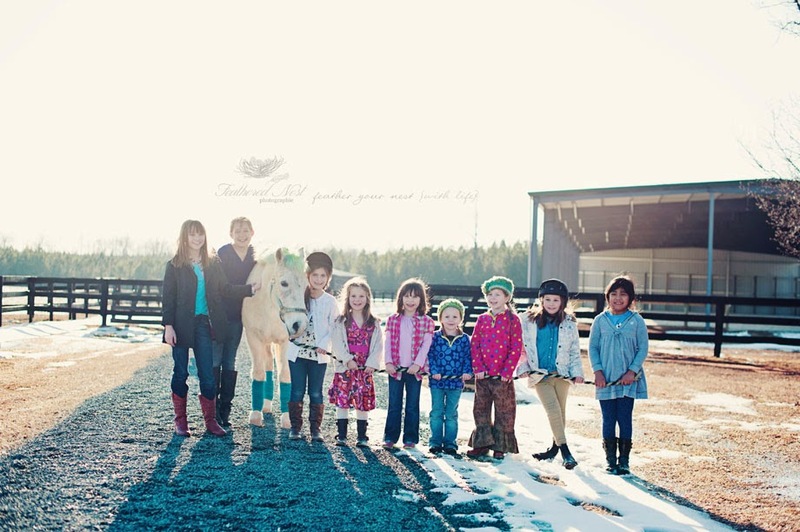 When riding time was over all of the guests grabbed the lead line to bring Smokey back to the stables! 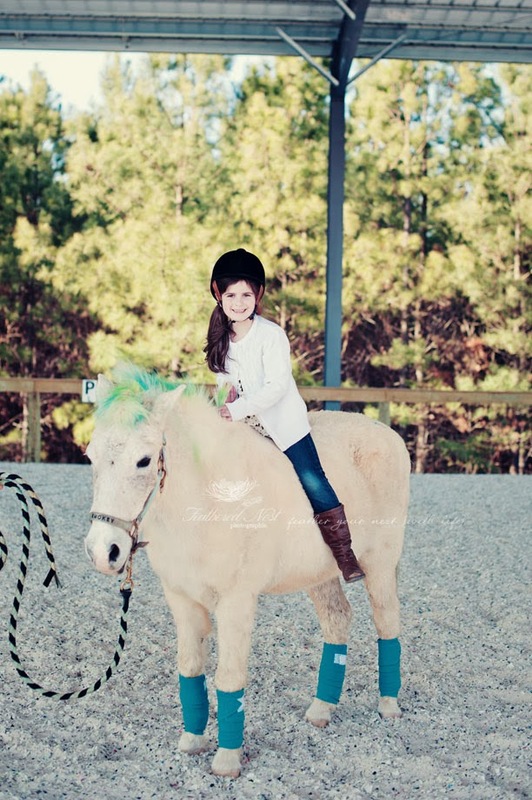 He is such a great little pony! Buddies! I love how he's "hugging" her in this one! 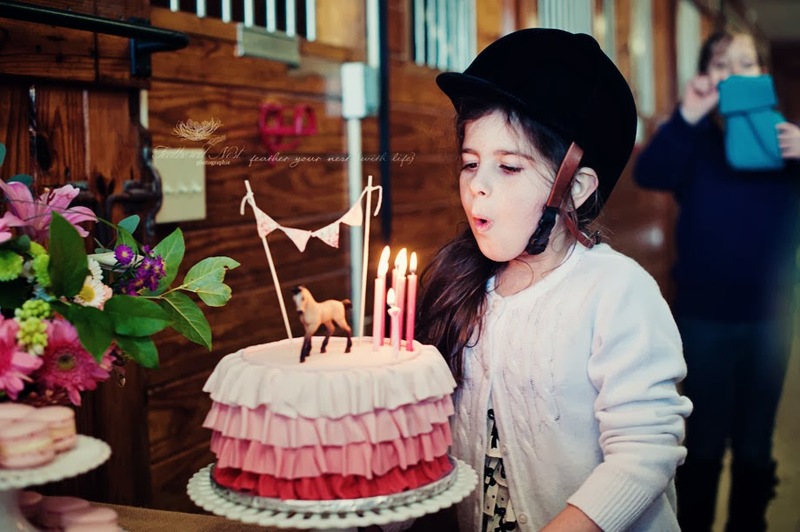 A girl and her cake!! 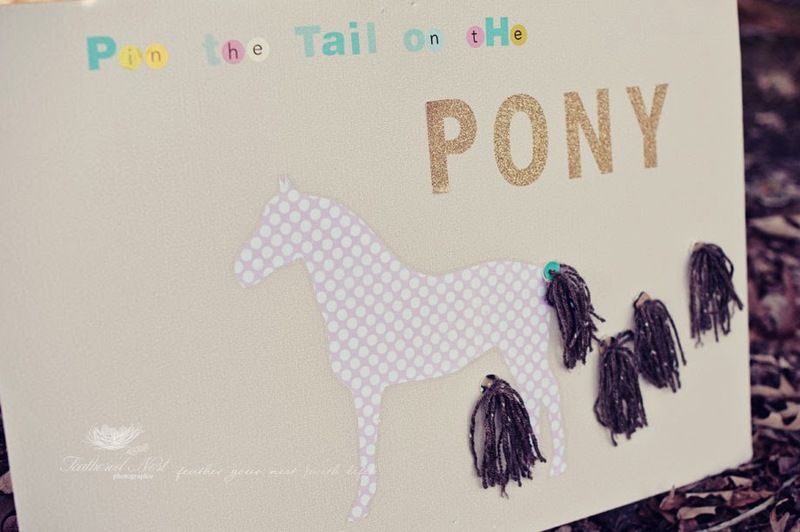 Another activity was pin the tail on the pony. I made the pony tails by tying yarn to various buttons and adding a little bit of tacky to the back. Taking a swing at the boot piñata! 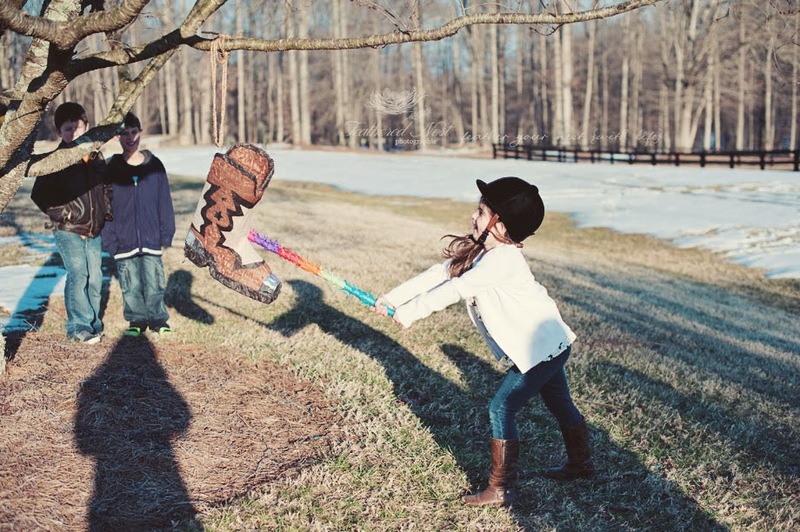 This was a healthier version of the typical party piñata. 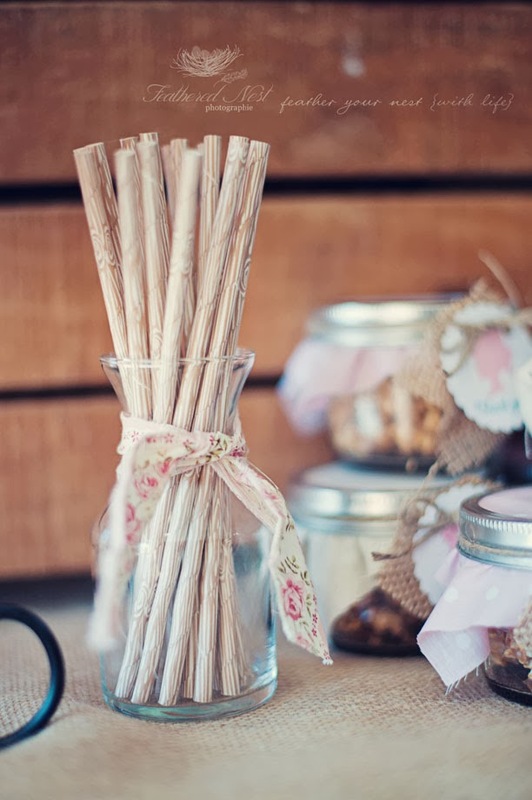 It was filled with Yummy Earth Organic lollies, Annie's bunny snack packs, organic fruit leathers and cereal bars. 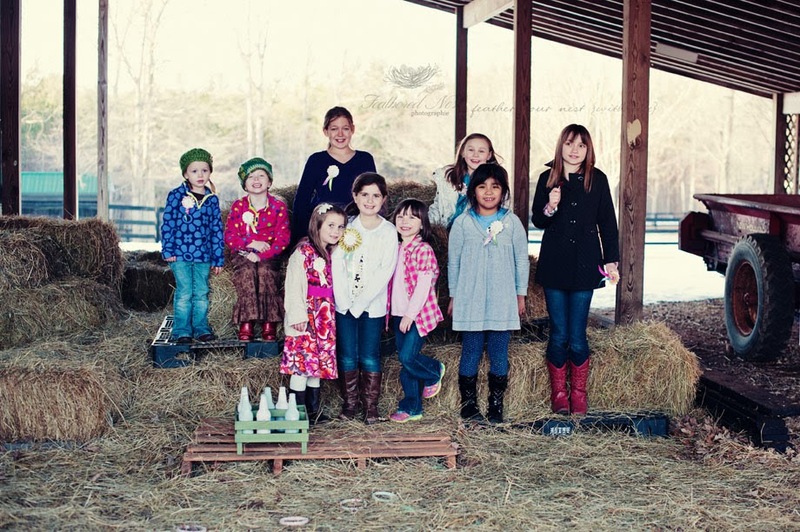 They all piled on the hay bales for a group photo near the end of the party to show off their prizes! Everyone had a blast! 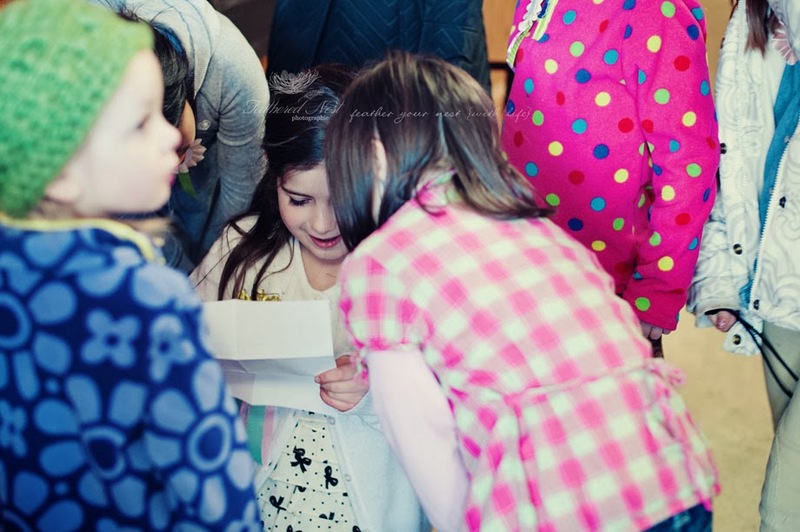 Here is Halle surrounded by her friends as she opens her gifts. She is reading a heartfelt letter from her cousin Sage. 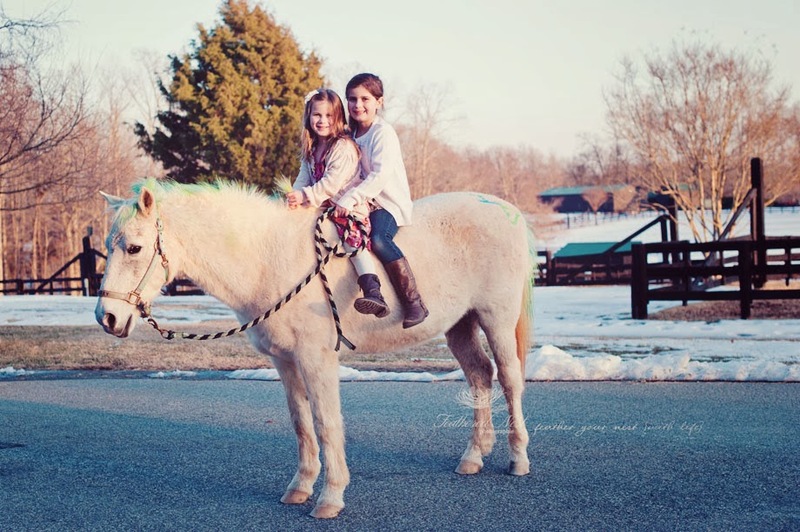 Halle, Ella and their cousin Sage taking one last ride with Smokey before the sun set! 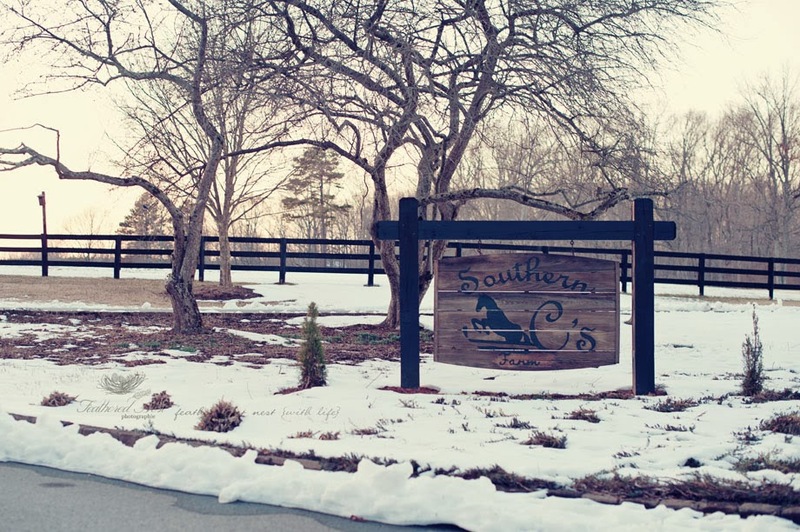 Southern C's Equestrian is a beautiful farm owned by a very sweet friend of mine. 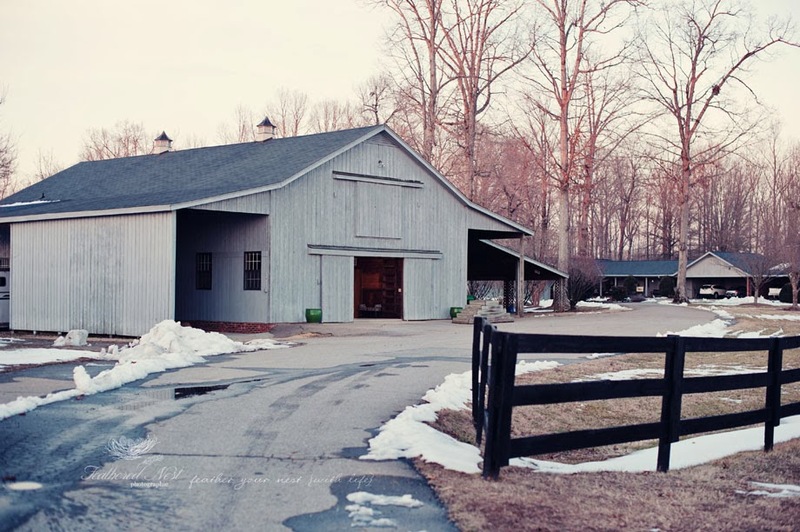 If you are local to the Summerfield, NC area you should definitely check them out! 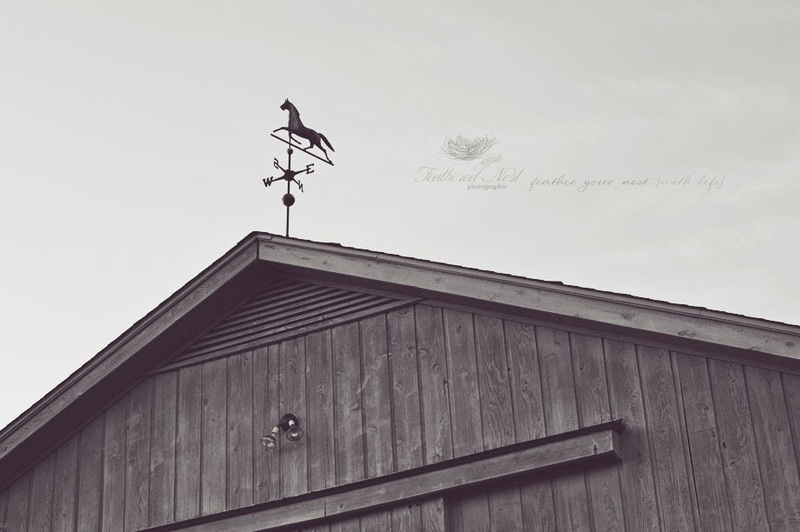 I just love this weathervane! Smokey's new "do" included a sweet message for Halle!! She was so excited to see this! 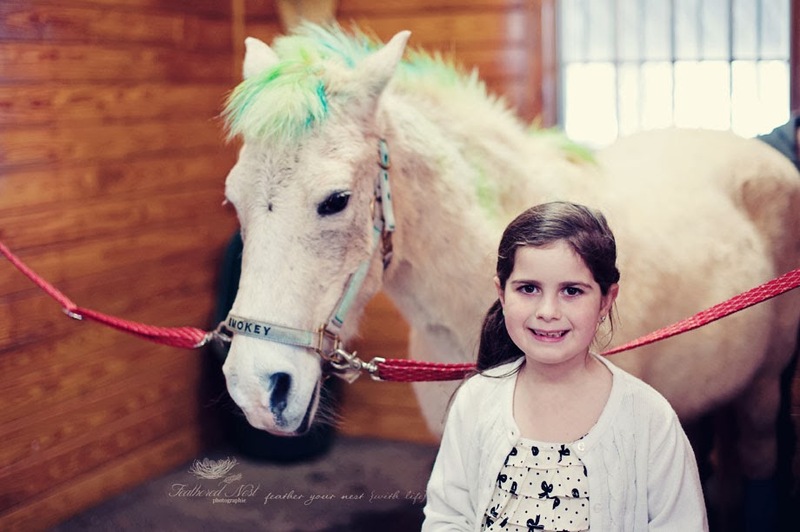 I'm pretty sure she could not have had a better time on her special day! 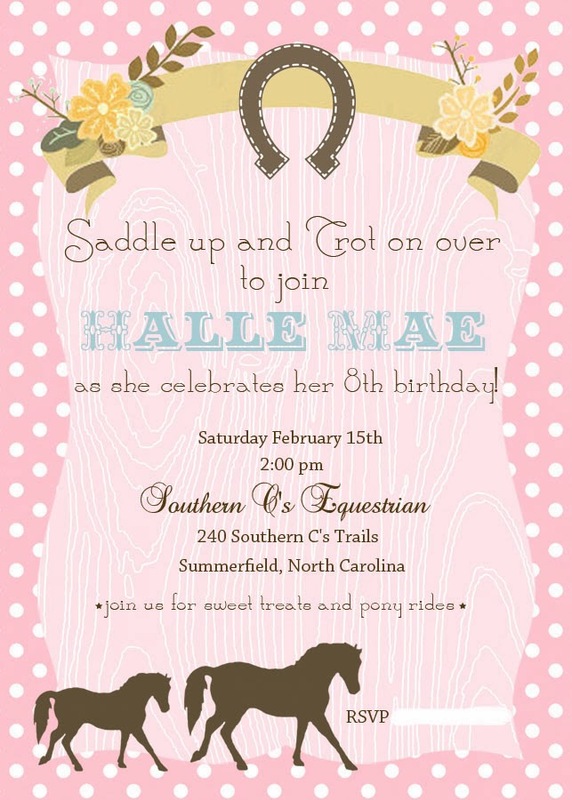 Happy Birthday my sweet Halle Mae!! I love you to pieces!